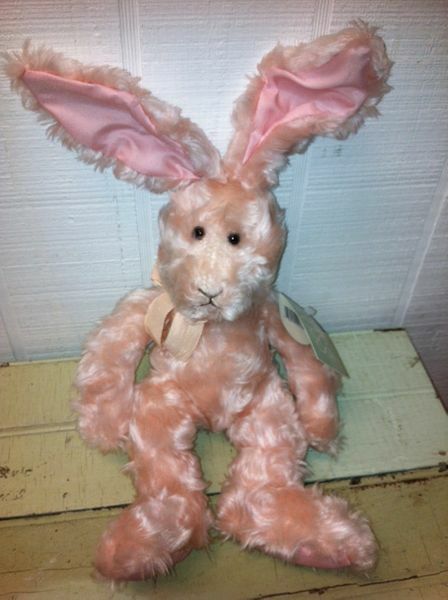 Russ Berrie Mimosa Bunny measures approximately 9 inches. It is in retired and is in mint condition with original tags. Russ Berrie made this bunny in several sizes and this is the small size. It is a beautiful pastel peachy pink color and the fabric is swirly. This adorable bunny is very soft and fluffy. The ears are bendable. It comes from a non smoking retail environment. It has all tags (both hang tag and tush tag).